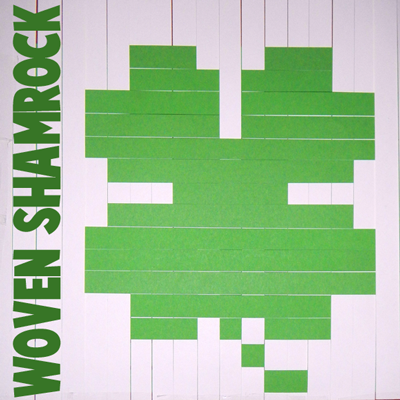 This is a great craft for Saint Patrick’s Day. Have you ever heard of pixel art…well it is drawing with blocks (pixels)…this is how graphic images that you see on the screen are made. 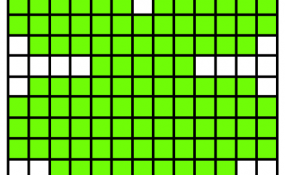 Anyways, it is sort of like mosaics with tiles because tiles are square blocks as well. Even if you don’t understand what I’m trying to say, you can appreciate this craft for its coolness factor. This is an interesting form of paper weaving as you will see when you take a look at the steps. Happy St. Patrick’s Day everyone. Click on Image and It Will Open Larger. Then Save Image to Your Computer. 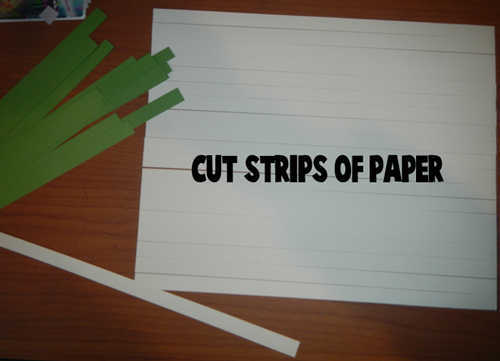 Firstly, cut strips of paper. You can cut them to any width, but I cut them each 1/2 inch wide. Cut about 15 of each color. 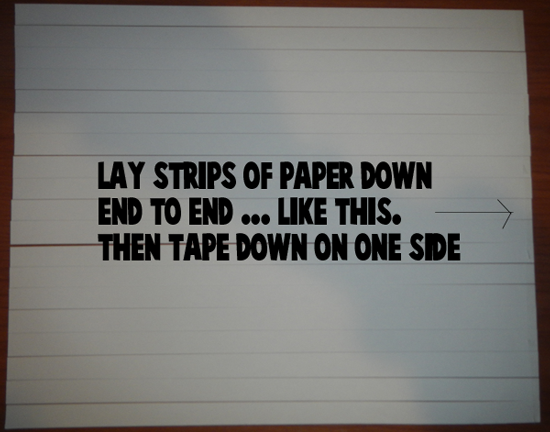 Now lay strips of white paper down as seen above. Tape either the right or left side down. I taped it down on the right. 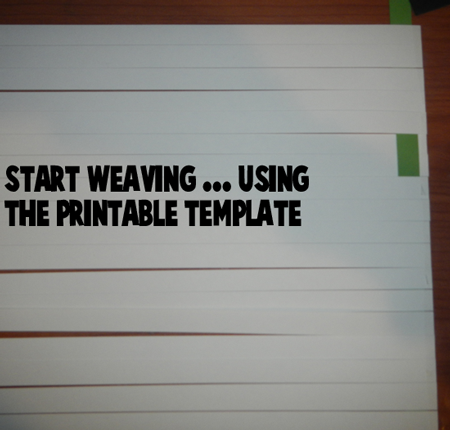 Then start weaving. 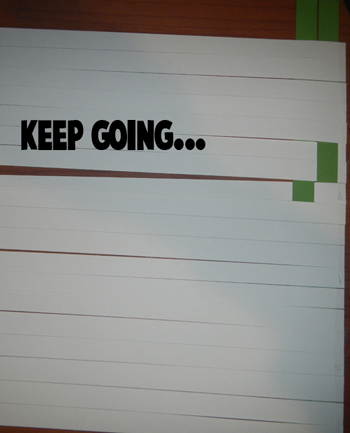 You just look at the paper template provided and see how many green are needed on each line. In the pic above, 2 blocks are needed. 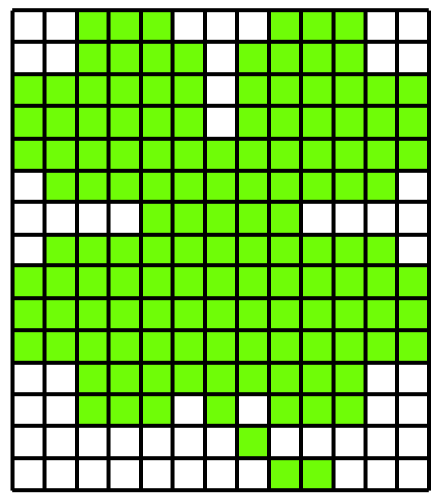 (I taped too many white strips down and that is why the green starts 5 blocks away instead of 3 like in the template). 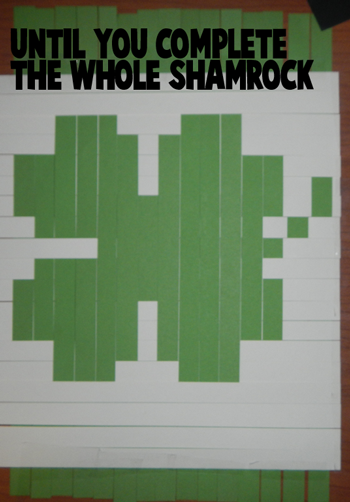 This is what the shamrock looks like when completed. 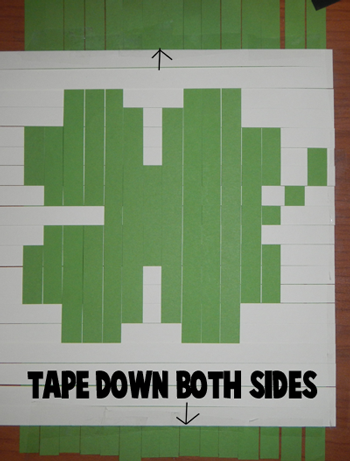 I taped the white strips to the green strips on the bottom and top ( as seen in the picture ). Now that it is secured, you can turn it over and tape it in place on the back as well. You then have a really cool shamrock. I hope that this was fun for you.